The event " Antique Dealer in Renaissance Rome" 2010 will present wonderful news. In the cloister adjacent and connected to the exhibition of Antique Dealers (www.antiquarinellaromarinascimentale.com), there will be an important food and wine event, Cooking for Art, organized by Witaly designed by Lorenza Vitali and conducted by Luigi Cremona, renowned journalist responsible for gourmet guides of Touring Publisher of Hotels, Restaurants, Wine and collaborator of the magazine Italiasquisita. Cooking for Art propose important moments of haute cuisine. From Saturday 16 to Monday, October 18 will take place the award for Emerging Best Chef of Central Italy in 2010. 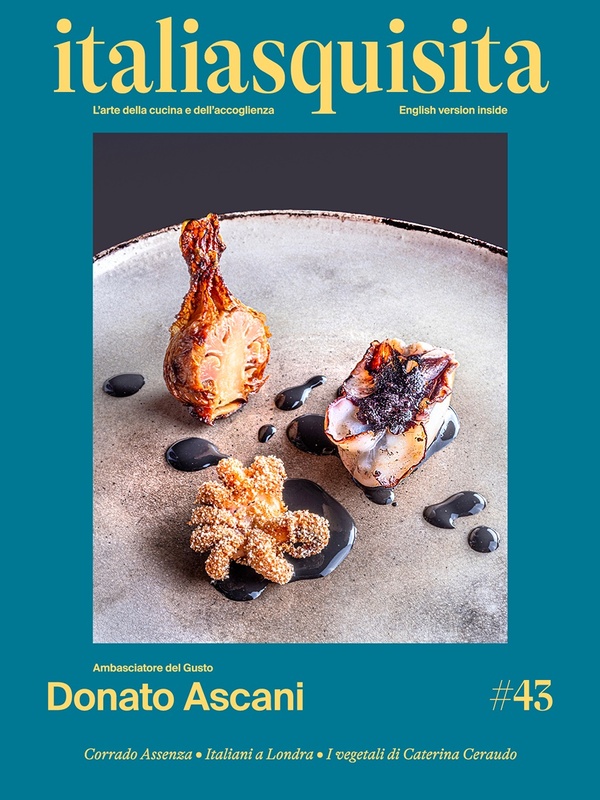 Read something more about it, just read the article we published on Emerging Best Chef of Central Italy, 2009. On Wednesday, 20 of October for the first time will be invited a limited selection of the best farms in Italy in collaboration with Agriturist. It will be a real opportunity to see how this sector has achieved a high level of quality. From October 21st to 24th will be the turn of GourmetHotel Collection. The best structures of Italy, in rotation, will offer the public a glimpse of their ability on haute cuisine. It is an event during which chefs will present their line of cooking, with a selection of samples. Three types will alternate: Thursday 21st and Friday 22nd, the Inns of Taste, including Masseria Torre Coccaro www.masseriatorrecoccaro.com , Il Colombaio Hotel www.ilcolombaio.it, Castello di Petroia Hotel Relais www.petroia.it, Borgo San Felice www.borgosanfelice.com, restaurants with charming hospitality and that sometimes produce its own wine, which represent a simpler formula, usually tied to the territory and traditions. Saturday 23rd and Sunday 24th the GourmetHotel, larger structures, usually located in cities with a high standard and gourmet restaurants, such as the Grand Hotel Principe di Piemonte www.principedipiemonte.com, Hotel Caesius Thermae & Spa Resort www.hotelcaesiusterme.com, Masseria Torre Maizza www.masseriatorremaizza.com, Hotel Cristallo Alagna Valsesia www.hotelcristalloalagna.com, Villa Del Quar www.hotelvilladelquar.it, Radici Resort www.radiciresort.com. Besides food, the wine is also the protagonist. In fact every hotel will be combined with a note Winery, which will present the best wines in its range. Among the companies presented will be Il Marroneto www.ilmarroneto.it, Roccolo Grassi www.roccolograssi.it, Mastroberardino wines www.mastroberardino.com/ita/06.asp, Casa Vinicola Luigi Cecchi & Figli www.cecchi.net/ita/produzione.html, Consorzio Bolgheri DOC www.bolgheridoc.com. During the event will be previewed the GourmetHotel Collection 2011 guide, an elegant and valuable book, which will become the perfect travel companion of the wandering and refined gastronome. An overview of 100 structures selected from all over Italy in search of the beautiful, good and comfortable.